Hello ... Hello ... my old friends ... It's great to see you once again! One of the many benefits and greatest thrills of our partnership with Hamilton Radio is coming across fine and talented independent artistes. 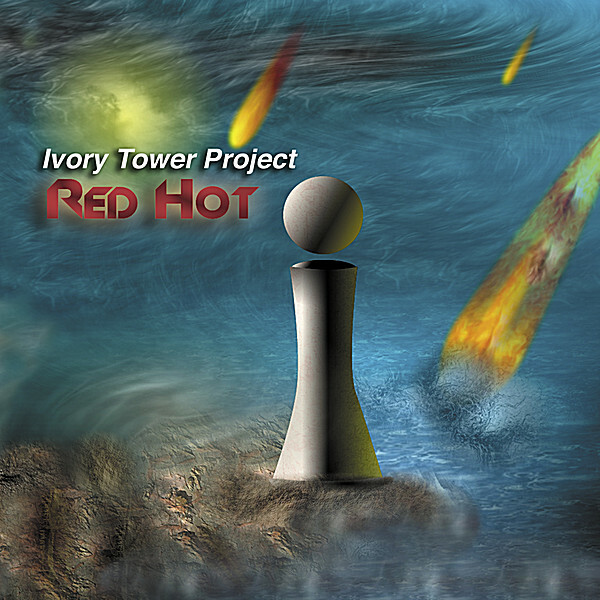 Hence, just after my good friend Gino 'Doc G' DiPierro introduced Yours Truly KJS to the The Ivory Tower Project, ITP leading light Mark Regula contacted me and kindly offered to send me their 2009 release entitled "Red Hot", and the "Time" was indeed right to introduce ITP to ELO Beatles Forever [ELOBF]. When ELO were a major force on those FM radio air play waves back in the late seventies and most of the eighties, they shared the limelight with great AOR acts like Foreigner, Survivor, Journey, Toto, Boston, Kansas, REO Speedwagon and Air Supply amongst many others. The repertoire of The Ivory Tower Project is both a tribute to and an extension of that great music genre and is as ear pleasing as those bands were. "Red Hot" trax:  "My Name";  "Burning";  "Gotcha";  "Way Too Late";  "Guilty [You're The One]";  "You Can See It In My Eyes";  "Dreamer";  "I Can't Tell Him [Her]";  "Centre Street Radio Interview";  "I Think I Fell In Love With You"
ELO Beatles Forever [ELOBF] recommends Ivory Tower Project to those enlightened folks who enjoy the music of ELO, Jeff Lynne, Roy Wood, The Move, The Idle Race, 'Brum Beat', The Beatles and related artistes. As always, Ivory Tower Project is a Kudo magnet. Hey! That's what I like about YOU!